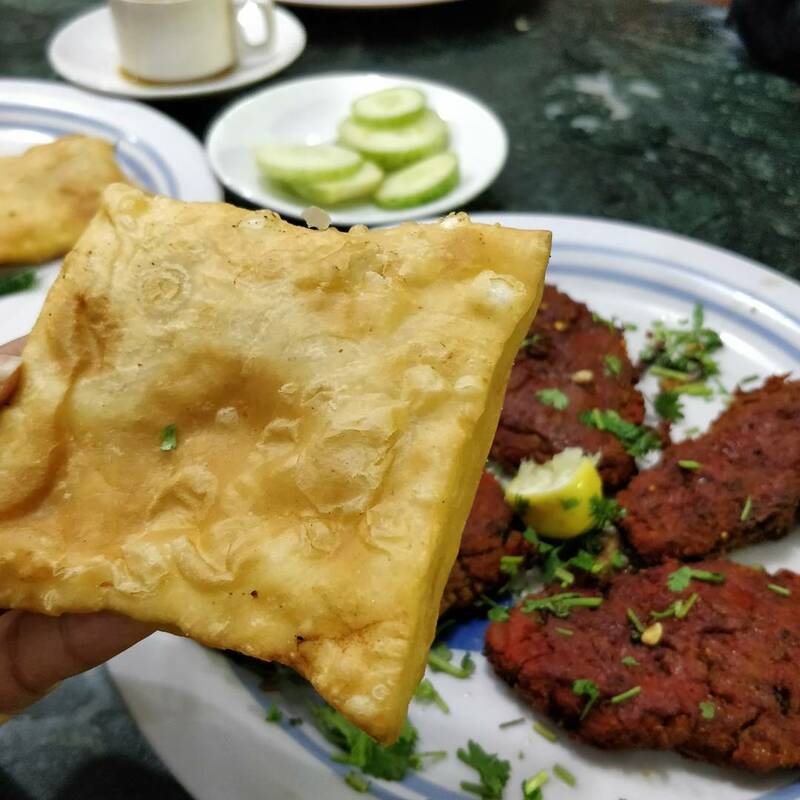 Hyderabad is not just the land of Nizams, nawabs, and pearls but also stands out when it comes to presenting a platter of finger-licking street foods. You would not only get to taste the South Indian dishes like dosas and idlis but could also gorge on the aromatic biryani and haleem, all because of the profound Muslim influence upon the city since time immemorial. 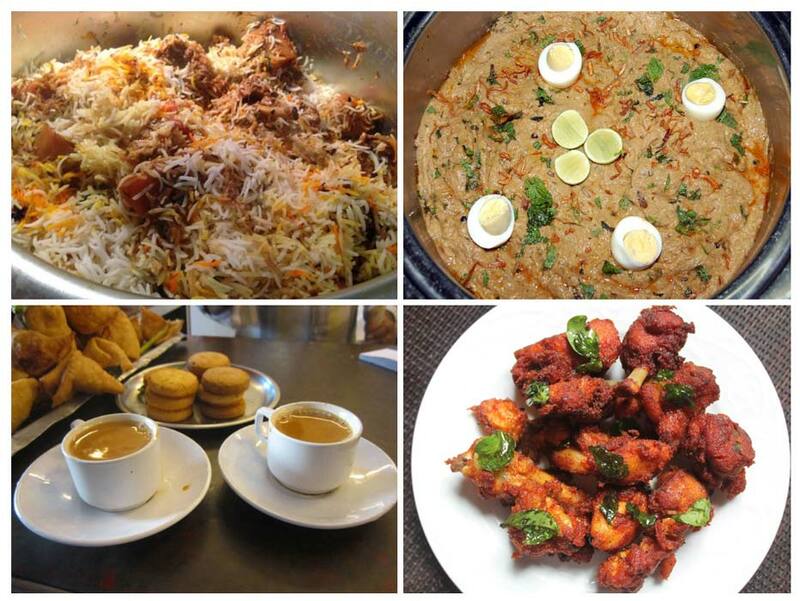 Let us check out the list of top streets foods of Hyderabad. 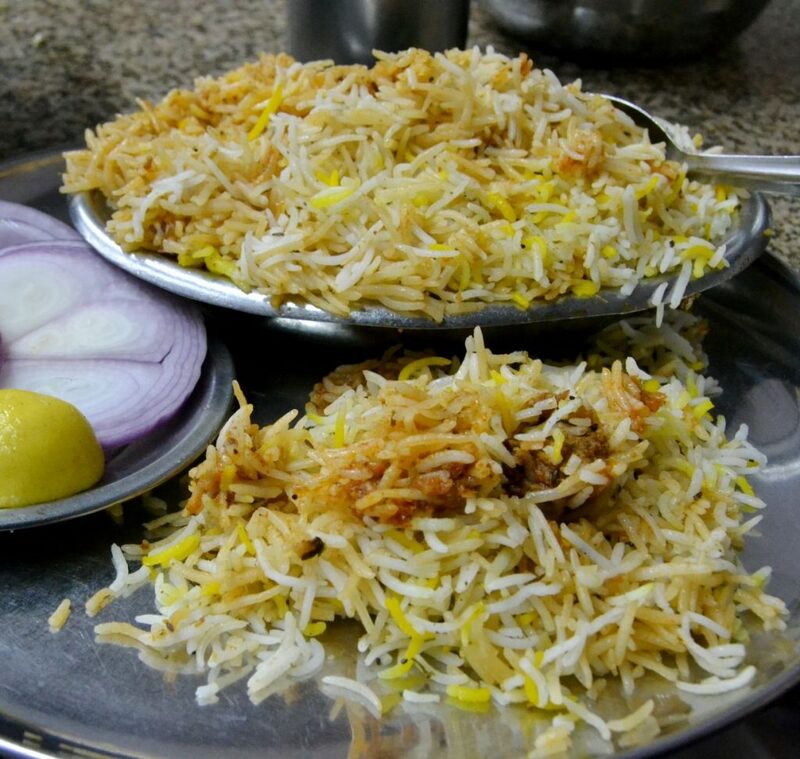 Not just in India, the popularity of Hyderabadi biryani has spread worldwide too, with the credit going to the aromatic spices and the interesting cooking technique. The meat is either marinated for a long span, added to the rice and then cooked (kachchi) or marinated for a short interval, cooked and then added to the rice (pakki). The contents are then transferred to a vessel, the lid of which is sealed using a mixture of water and flour and then heated over coals in such a way that the steam does not escape, hence earning it the name dum biryani. The use of cardamom, saffron, and kewra (a distilled liquid used for flavoring) adds to its fragrance, while curd or the famous mirchi ka salan (chili-peanut curry) serves as sides. 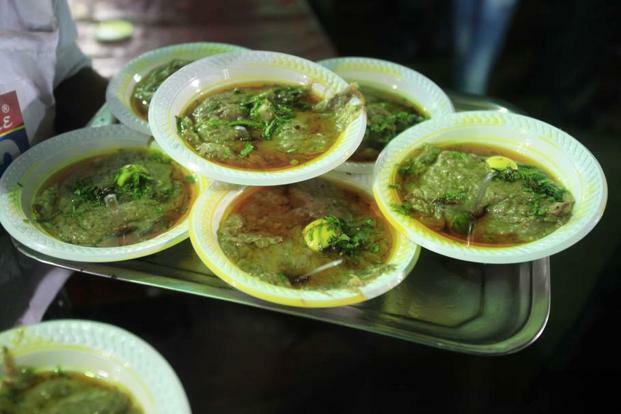 Though it has its roots in the Middle East, after attaining the GI status in 2010, ‘Hyderbadi haleem’ has become the city’s dish that can be sold under this name by vendors only if the required standards are met. Popular throughout the city particularly during Ramadan and Eid, it appears like a thick paste prepared by cooking a mixture of wheat, lentils, minced meat (mutton or beef) and an array of spices cooked over a long span of time. Adding a dash of lemon juice and fried onions to it enhances its taste. You can have it just like that or even as a side dish with naan (baked flatbread). Shah Gouse Café, Tolichowki; Pista House (Nampally, Charminar, Tolichowki); Hotel Shadab, Ghansi Bazaar; bhattis or small roadside stalls set up temporarily during Ramadan. The concept of Irani chai (tea) evolved in Hyderabad when Persian settlers migrated to the city. The USP of this tea lies in its preparation as the leaves are boiled separately and then added to the milk. 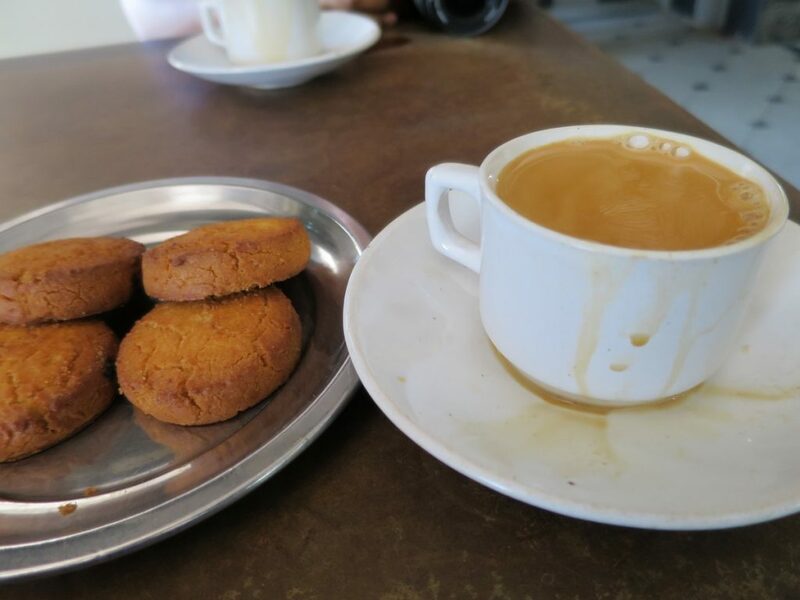 The milky, creamy tea served in a white ceramic cup is incomplete without Osmania biscuits (baked sweet-salty cookies named after Mir Osman Ali Khan, Hyderabad’s last Nizam) or buttery biscuits. A square-shaped patty filled with minced meat and fried in a batter of flour and yogurt. 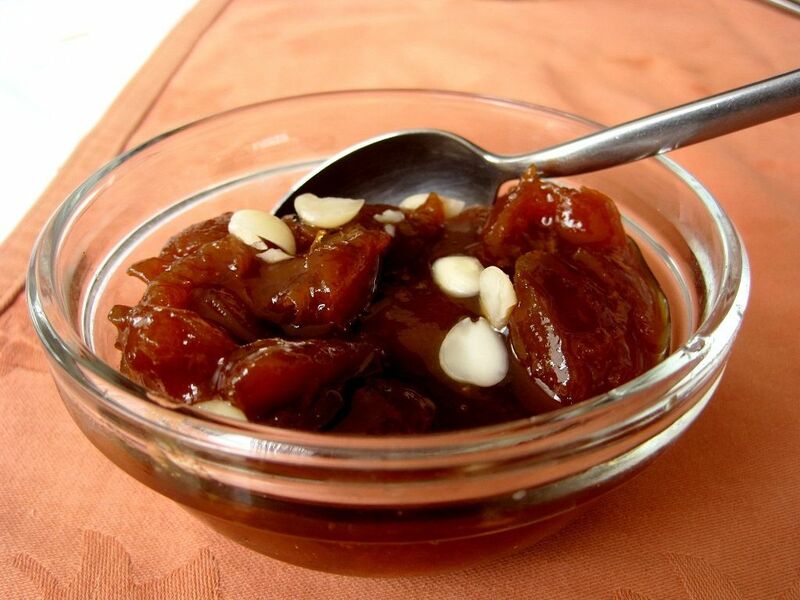 Most Hyderabadi weddings have this savory as a starter. 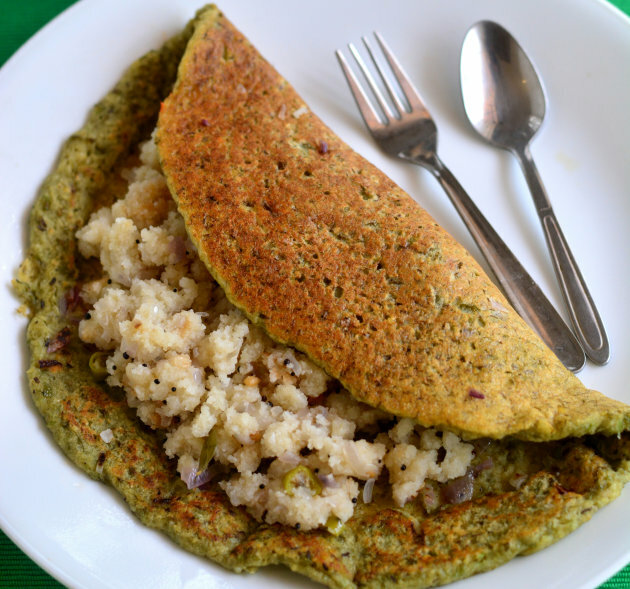 Pesarattu is similar to dosa but for its ingredients since it is made using green gram. It is not stuffed with potatoes like dosa but has fillings of onion, cucumber, and tomato. A popular breakfast dish all over Andhra, it tastes great when served with accompaniments of ginger or tamarind dips. 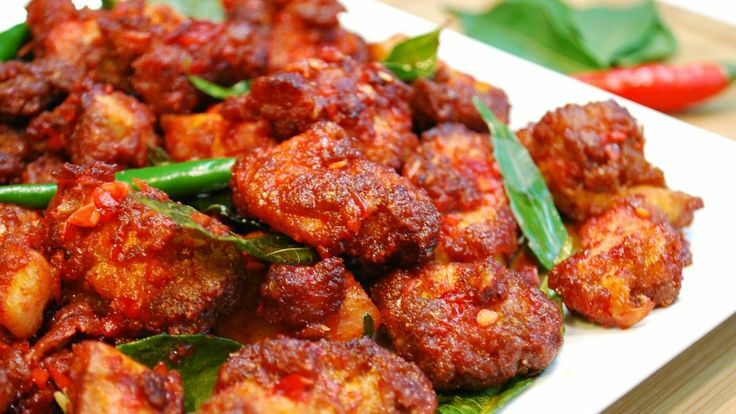 Chicken 65, a hot pick in Hyderabad, is a mouth-watering snack comprising of deep-fried chicken. It has a spicy and tangy taste all because of a large number of red chilies that goes in its preparation. Coriander leaves and a dash of lemon juice are used for seasoning. It derives its name from the main ingredient that goes in its preparation, apricot, which in Urdu is referred to as khobani or khubani. The outcome looks like a thick paste garnished with almonds and a dollop of cream. The modern versions also have ice cream or custard as toppings. 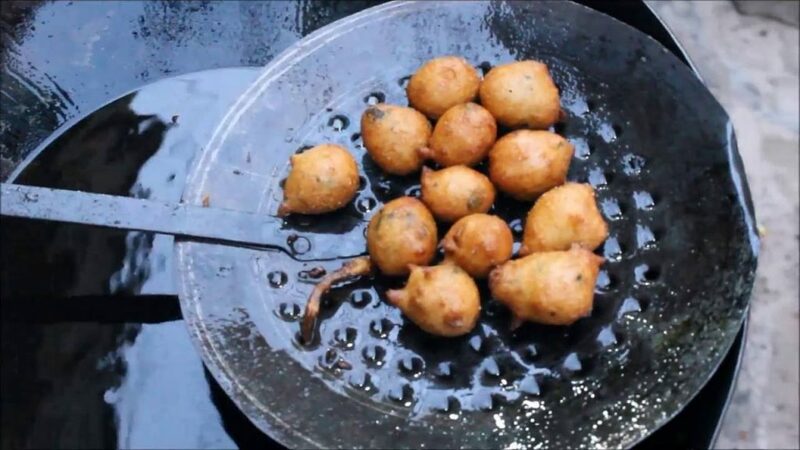 Be it evening, late night or early mornings, the streets of Hyderabad is always thronged with aromatic fritters and fries like the mirchi bhajji (capsicum fry), Mysore bonda (soft, fluffy fries made from a batter of flour, yogurt, and soda); aloo bonda (potato stuffings), da vada (lentil fillings). Tasty dips of chili, coconut, mint or ginger serve are eaten along with these savories. Made from a batter of rice and lentil that is used to make dosa, these fries are soft within and crispy outside. Garnished with onion and coriander, spicy chutneys are served along. 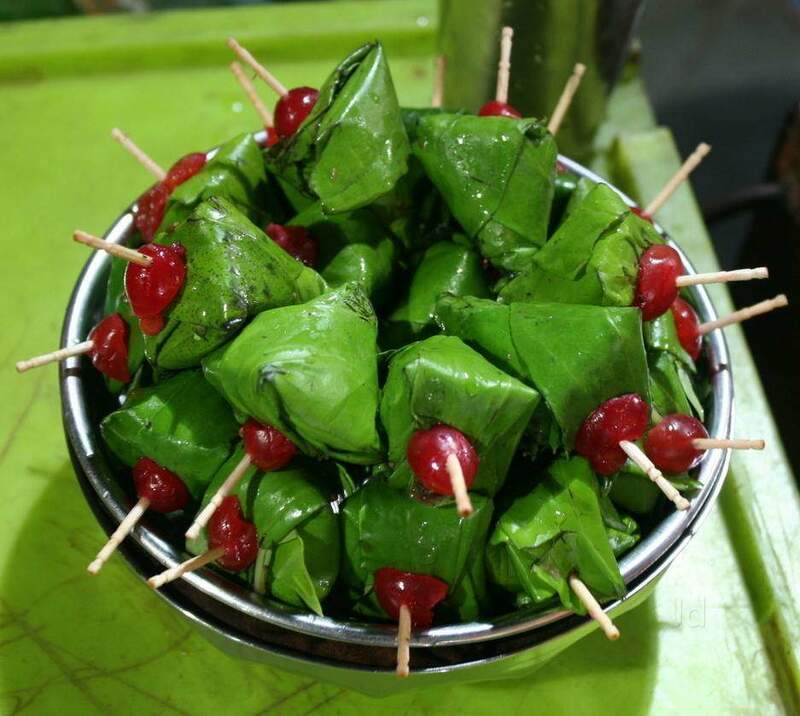 The Nawab city of Hyderabad is famous for the sweet paans which serve as a perfect appetizer after a sumptuous meal. Most of the paans are noted for the sweet and coconut stuffings that make it tastier. 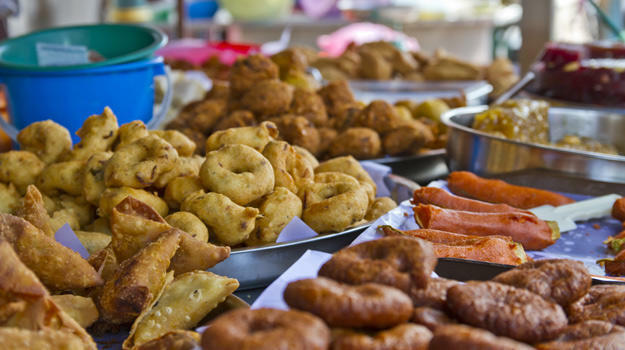 The list given above is just a small part of the large street food market Hyderabad provides for. The city has shown versatility as it not just provides for dosa, idli, uttappam, and vada, but also a whole lot of chaats, tasty drinks, and kulfi as well as various kinds of chicken and fish dishes like fries, rolls, burgers, and kebabs. Of all the areas, Mehdipatnam, Hitech city, Charminar, and Sindhi Colony are the popular hubs where stalls are open even late at night or till early morning.